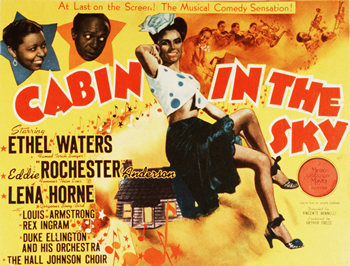 Little Joe (Eddie "Rochester" Anderson) loves his wife Petunia (Ethel Waters), but he also loves gambling. He is shot and seriously wounded in a casino incident and, as he lies in bed, Petunia fervently prays for his recovery. Lucifer Jr. (Rex Ingram) and his fellow emissaries from Hell arrive and tell Joe that he is dead and, because of his lifestyle, must accompany them to his punishment below. But then the "General" (Kenneth Spencer) and his team from Heaven appear, in response to the intensity of of Petunia's prayers. The General explains that, while Lucifer Jr. may have a valid claim, God has ordered that Joe be granted another six months of life to attempt to redeem his life. They warn him that he will have no memory of their visit when he revives. Little Joe awakens in his bed, to his wife's relief and joy. Meanwhile, Lucifer Jr. and his "idea men" concoct a plan to put Joe to an ultimate test, having him win $50,000 in the Irish Sweepstakes. The news of his "luck" is delivered by the sultry vamp, Georgia Brown (Lena Horne), Lucifer Jr.'s representative on Earth. When Petunia sees Joe hugging Georgia in gratitude, she assumes the worst and angrily demands he leave. Spurned by his wife, but very wealthy, Little Joe, accompanied by Georgia Brown, makes a grand entrance at the casino and buys drinks for the packed house. Petunia arrives also, and announces she has hired a lawyer to claim half of Joe's winnings. She dances with the lecherous Domino Johnson (John W. Sublett). When he tries to kiss her, Joe slugs him and a fight ensues. Frightened, Petunia, begs for God to bring down His wrath on the saloon. A violent storm begins to tear the building apart. Domino Johnson pulls a gun and shoots both Petunia and Joe. Their souls arrive at the base of the stairway to Heaven, but Lucifer Jr. is there to prevent Joe from ascending. However, his assistant (Mantan Moreland) comes with the news that Georgia Brown, back on Earth, has found God and given all the money from Joe to the church. His balance sheet back on the positive side, Little Joe climbs the Heavenly staircase, with Petunia at his side. Little Joe awakens in his bed, his adventure having been a dream. He instructs Petunia to get his dice and other gambling paraphernalia and burn them in the fireplace.